Here’s the project we built for The Ben Heck Show episode 9. 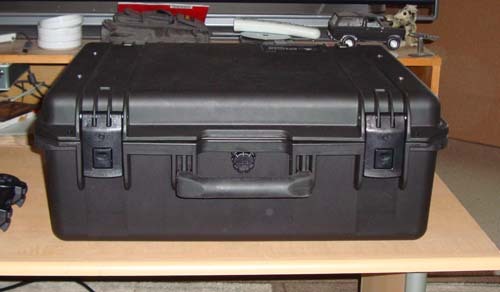 It’s ruggedized PlayStation 3 for use in Afghanistan. It has a 22″ LCD screen, built-in speakers, TV tuner, network switch and storage compartment. For all of the details on how this was done and to see the unit in action, be sure to check out the latest episode of my show. Enjoy! 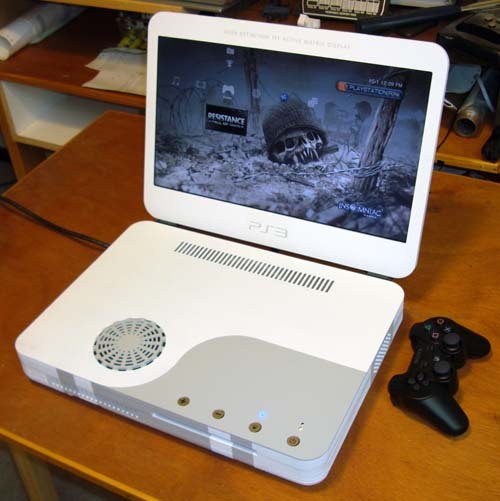 Making a PS3 laptop really wasn’t an “uncharted” course for me. 17″ widescreen 720p HDMI display. Built-in stereo speakers & headphone jack. Stylish pin striping to make games run at blast processing! You can check out more pictures and video below. Remember, if you have a crazy idea and the money, I can make the time! If you feel this would be of use to your game development, please send me an email. I hope to improve this model with future versions. 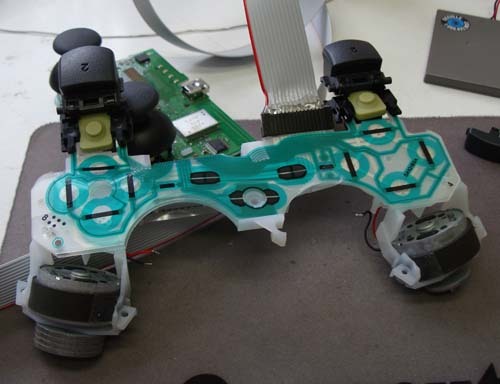 Inside the controller. 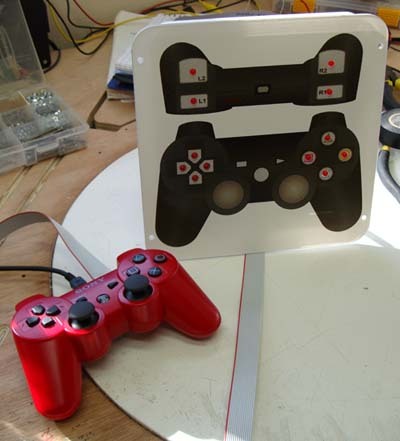 It uses a secondary, keyboard-like screen printed conductive ink surface (under the normal button plastic) to duplicate the buttons for the monitor display. 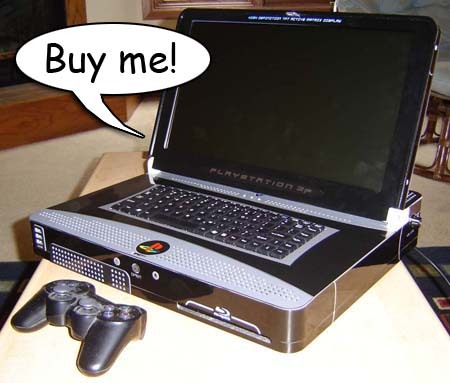 You might have seen the famous Ben Heck PS3 Slim Laptop around the internet. 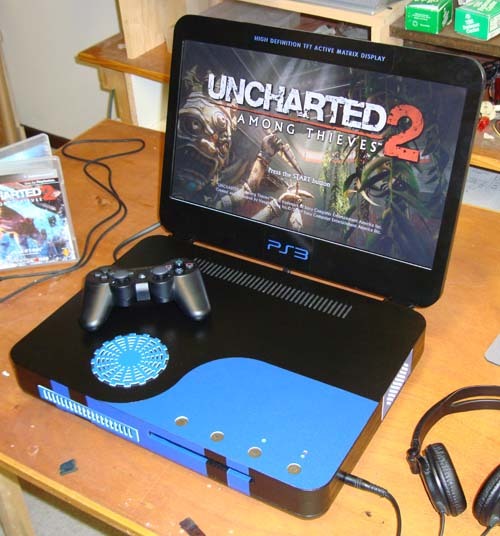 He’s taken a PS3 Slim and converted it into a fully-functional, portable PlayStation 3 device. It’s the only one in the known universe. And it can be yours this holiday season. For every $50 you spend at The Score of Cool Springs between now and December 19 at 6 PM, or every $25 in trades you bring to The Score during the same time period, you get an entry into the contest for this amazing piece of custom hardware. Buying or renewing a Score Membership, purchasing the ScoreSwap(tm) game rental membership (annual), or booking a birthday or private party in full for sometime in the next calendar year will earn you 3 extra entries apiece. And plan on shopping with us on Black Friday – besides some killer deals, you’ll get double the entries into the drawing on that day for what you spend. We already have the lowest prices in town and the best trade-in credit. Throw in the chance of a lifetime to win an amazing PS3 Slim Laptop, and why would you shop anywhere else? Check out the official website for more! Here is another custom controller I’ve done up. The idea requested by the customer was to make the shoulder buttons easier to get at, so I’ve replicated them on the front. Sadly, this calls for the removal of the rumble motors, although of course according to Sony cira 2006 “that’s a last-gen feature anyway”. Need a mod for a specific purpose? Contact me, that’s what I do! 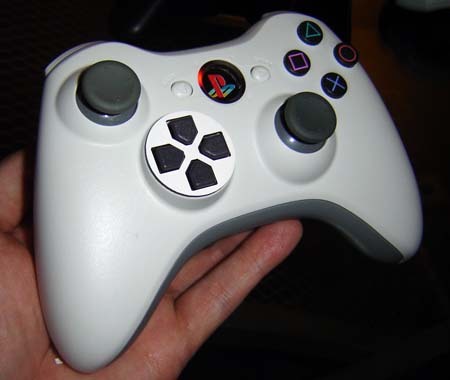 Very similar to my older models, but this one uses the Dual Shock 3 for the super-immersive rumble function and also has the original Playstation D-pad, creating a true Frankenstein’s monster of a controller. Of note: Does the nonmenclature of calling something “a Frankenstein” rather than the proper “Frankenstein’s Monster” ever bug anyone else? Anyway, some making of pictures after the break – enjoy! Now’s your chance to get a one-of-a-kind Ben Heckendorn creation! Engadget is sponsoring an auction to sell the PS3 laptop I built, with all proceeds going towards the National Cancer Coalition. Click here to check it out, and place a bid if you so desire.